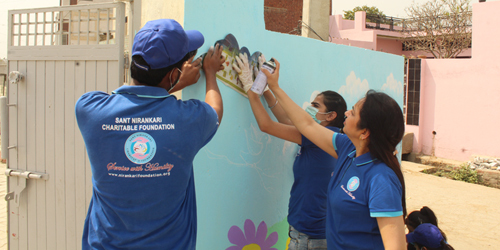 In the tourist city of Rajasthan, Mount Abu, the main programme was organized at Polo grounds where more than 500 SNCF volunteers, Sewa Dal and other members had gathered on June 5, 2018. While Shri Suresh Thinger Ji, Chairman MC was the chief guest, Sh Radhey Shyam Ji and Sh Hari Mohan Gehlot Ji, Zonal Incharge represented the Headquarters Delhi. 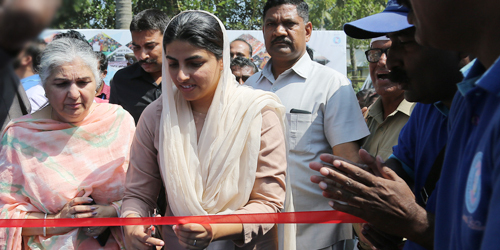 The programme started with a massive gathering at Polo ground where the guests were honored. Here after the prayers, the participants were addressed by the chief guest and Sh Radhey Shyam Ji. 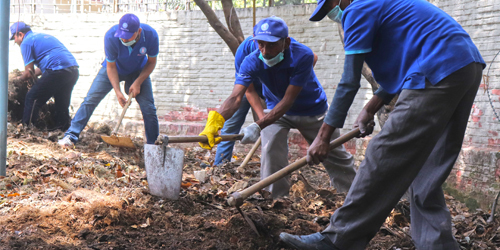 While Sh Thinger ji highlighted the importance of clean environment, he was all praise for the SNCF who have cleaned the city on the World Environment Day. 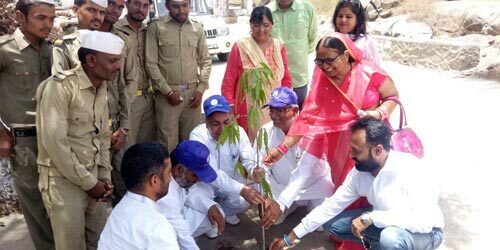 He further said that Sant Nirankari Mission is not only cleaning the outside world but they are also cleaning the hearts inside and bringing people more closer. Rev Radhey Shyam Ji called upon the society at large to stop using plastics in our daily life as it is spreading worst type of pollution. 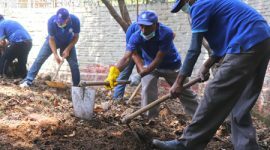 Then cleanliness started along Polo ground, Ambedkar Circle, MK Circle Gandhi Vatika and Nakhi Jheel areas and five trolley loads of garbage including plastics were collected and handed over to the MC for disposal. Plantation was also done in Mokash Dham area. 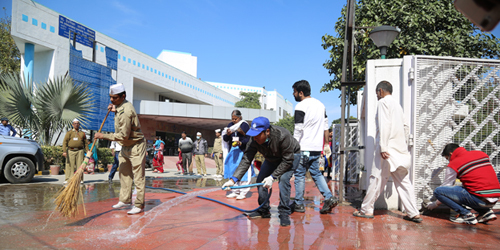 The program also included the staging of Nukkad Natak at varios locations in the city with a theme of Beat Plastic Pollution which was widely liked. 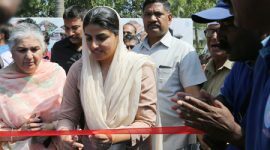 These Nataks were staged 15 times in the public. Cotton bags were also distributed by the volunteers to the tourists and the local public to shun the use of plastics.